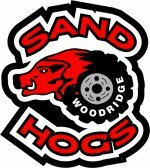 The Woodridge Sandhogs are happy to announce that funding has been approved for our NTC Grant application. The funding of matching funds total $26,000 from NTC and from MMPDA association. This funding will help start the development of a designated trail system in the Sandilands area. As announced by the Eastman club, this trail project is a collaborative effort by both the Sandhogs, Eastman, Manitoba Conservation, and AtvMb , with the support of MMPDA. Non of this could have happened with out the efforts of these groups and their membership. This has been a long road for many of us which for me started in 2009. I'd also like to thank the MMPDA for the contribution of funds of $13,000 to help match the $13,000 from the NTC Grant giving us the total as mentioned above. Looking forward to a busy but yet rewarding year to come for our Atv community. I had received a call from our local RCMP detachment asking me to let everyone know they will be increasing their presence out in our area for the next few weeks. They have received plenty of complaints from residents in the area with riders speeding, no helmets, drinking + driving etc. The RCMP will be out on the trails and around the local towns in the Southeast corner enforcing the rules. They asked that if anyone is unclear on the ORV act to please contact their office or go on the highways act website to ensure you have the answers you need. Have a good ride out there and be safe. Another issue that conservation and firecrews are worried about is the amount of "fuel" from all the deadfall . They would like me to convey to the riders to please ensure that all debris it removed from the exhaust system and if any " lunch " fires are made to please ensure that they are completely out before leaving the area . And there are now many areas that are being logged out so be mindful of changing trail conditions from week to week . Well here we are finally, riding season! Yes that snow melted, now if we could just get some warmer temps! We have just sent off our club events calendar to our members and it is pretty busy. And of course there are still a lot of trees to open with all the fallen trees from the 2012 fall snow storm. I'd like to thank all those that have helped clear trails from our members, other user groups club members and the single guy who just wants to help. Cheers! Here are a couple of links to who the Sandhogs are, one is a recent article in the Riders West Magazine and the other is from a TV show our club did with the Weekend Adventure TV show from Kenora, last year. Enjoy. I hope they work. If they don't just email me and I can foward the links another way to you. Well our 2014 riding is coming soon, yes spring will come and hopefully summer! This winter has been a long and tiring one for sure. Hopefully we have a great summer to make up for all the cold and snow. This year our club will be involved in several local events around the Woodridge area. And of course we will be helping volunteer at this falls Ride for Dad again. And again we will be out a lot helping open up trails that are still closed in from deadfall from the 2012 fall snow storm that devastated the area. The trail clearing is very hard work and i'd like to thank all those that spent hours, days and weeks cutting trees to open up trails for people to ride. I hope this year we have a calm summer so that we can enjoy our sport and make new friends.